What’s driving your search for self-improvement? Are you seeking to transition to another company with a better culture? Looking to fine-tune your startup’s mission statement and marketing strategy? Striving to find your path as a millennial thought leader? If you are familiar with these types of questions, you might think you would benefit from a mentor. While that’s not a bad idea, a more targeted and result-driven approach is to get a qualified coach who can help you level up. Professional coaches are growing in popularity. Thankfully, there are many in the Bay Area who can help you address what you want to change in your personal or professional life. 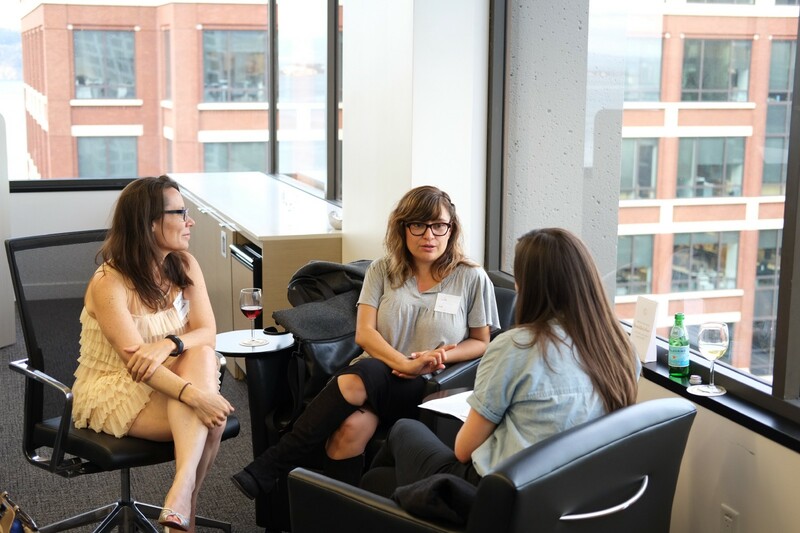 Since the GUILD is on a mission to connect the right women with the right resources, we decided to host an event to help women of all ages and career stages get an opportunity to “test-drive” a coach. 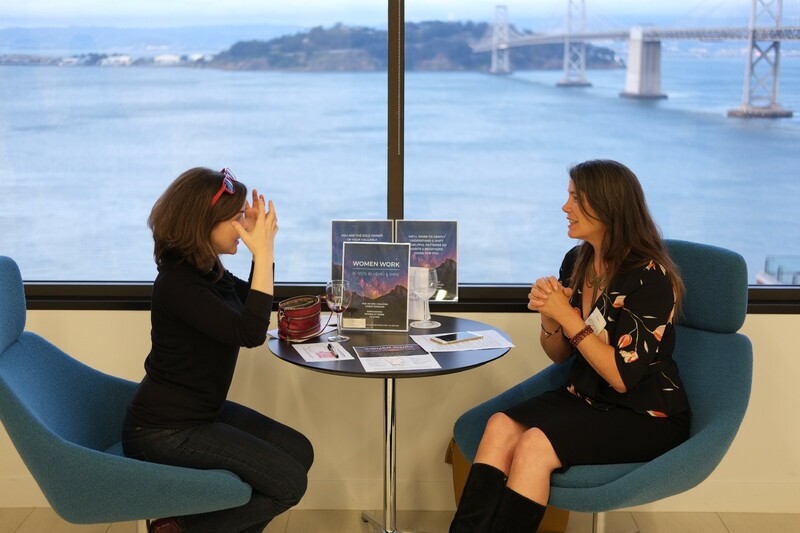 At the sleek DocuSign headquarters high above San Francisco, our Find Your Coach event gave women a chance to meet a range of coaches all in one place. There were executive coaches, millennial guides, style consultants — ten professionals in all — each bringing their own unique background, experience, and personal chemistry. 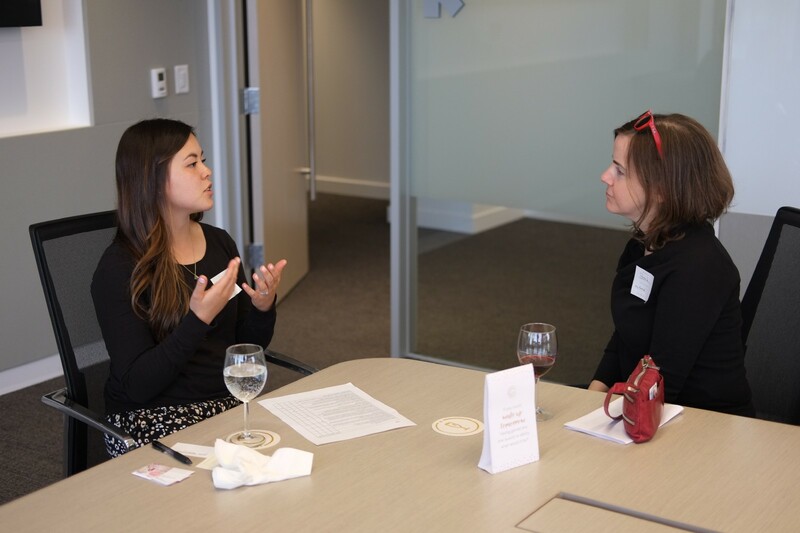 After a few words from the GUILD’s founder, Anne, we broke off into mini speed-coaching sessions for targeted advice on how to frame our goals. 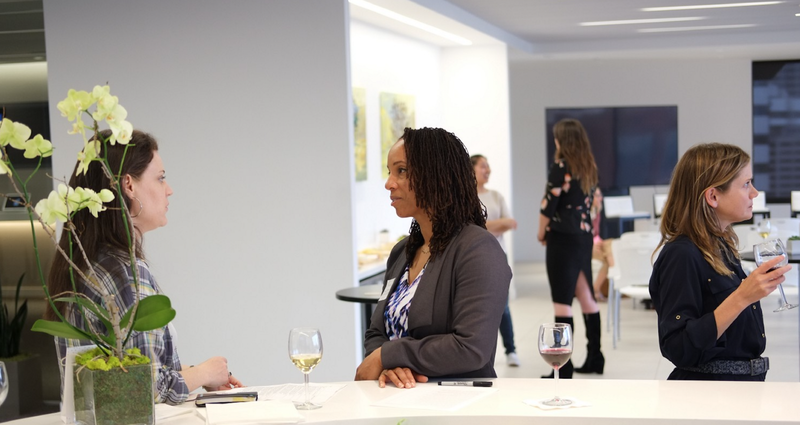 When the night had ended, women lingered behind to share one last glass of wine with their new connections and potential coaches. As the Bay Bridge lit up through the window, Susanna Camp checked in with the coaches to hear their best tips. 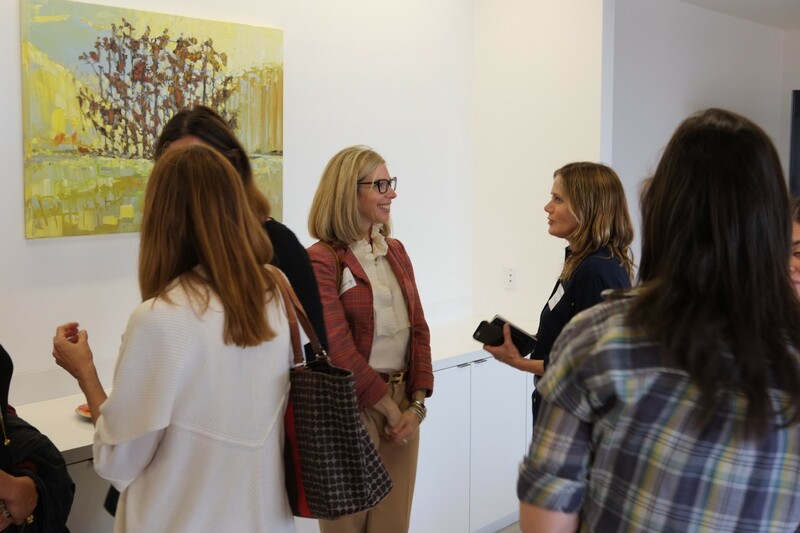 If you missed the event, here are five steps to finding a coach of your own. Coaches unanimously agreed on the following fundamentals: get a referral, take advantage of the complimentary session, and try two or three coaches to get a feel for what they offer. Then, trust your intuition. If you’re feeling pushed into it, that’s not a good sign. 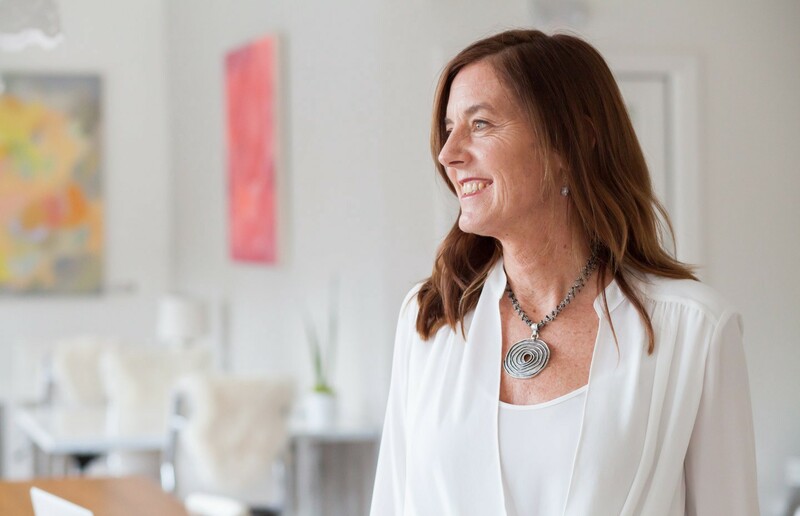 “Most clients really feel it in their heart if they’re supposed to come and see me.” After many years in design and strategy, Mary Spicer studied for a Master’s Certification in Intuition Medicine®, a 1000-hour program in energy medicine. She started her coaching practice, Mary Spicer Life Solutions, to empower and uplift women in work and life. The goal is to gently understand and shift unhelpful patterns so habits and behaviors work for you. 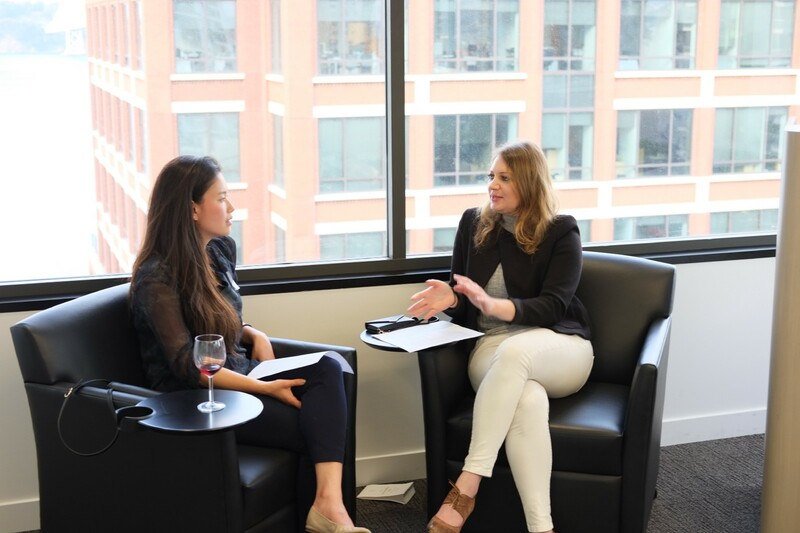 Yuki Graviet Knapp of Own Your Essence is a young, certified professional coach who helps millennials to navigate their own unique situations early in their careers. As millennials, she says, “we have a lot expected of us, and yet, we’re constantly being told we’ll never amount to anything because we’re too ‘lazy and entitled’.” This can make independent decision making hard. 2. Look at the coach’s background, experience and methodology. Experience and credibility are key. So are certifications, and having expertise in a formal methodology that grounds a coach’s practice in a proven framework. It’s important to know what qualifications give them the authority to work with you. “The work of a coach gets to be very personal. You want to see a picture of the style coach. That image is going to convey a certain vibe, and tap into your innate intuition.” Susana Perczek of Dare to Wow is a style coach on a mission to give you an inner understanding of what clothes work best for you and help you create a wardrobe that empowers, inspires, and celebrates who you are today. 3. Build a bond with the coach. Making a change in your professional life often means diving deep into your personal life, too. Assessing how the coach relates to you is key to a successful quest for self-improvement. Take note of how well your personalities jive. “The coach should be interviewing you as well. It should be a two-way exchange. This is such a personal relationship, you need to find a good fit for both people, where there’s a rapport.” Jayne Hillman of True Equation is a business coach who partners with motivated entrepreneurs to help them create profitable businesses that can change others and the world. 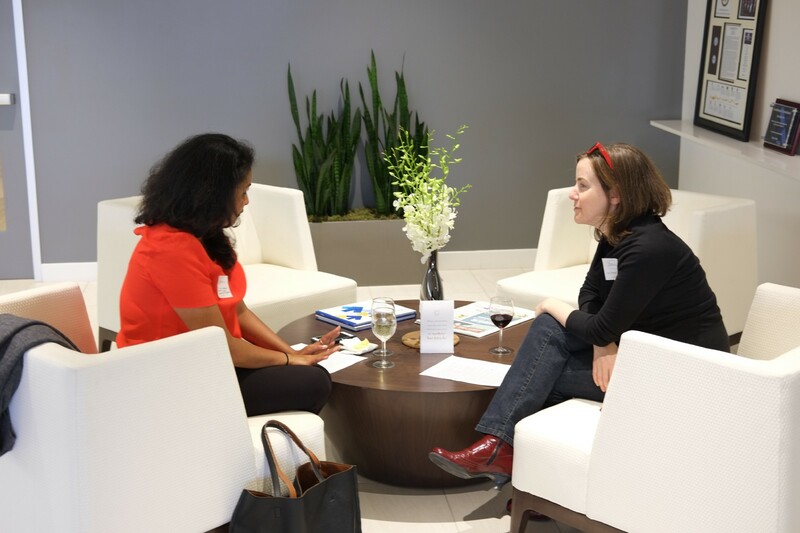 She uses a process of applying neuro-psychology, active listening, and highly tuned emotional intelligence to determine what rings true and alive for each of her clients. “A coaching relationship is deep. We are going to get all into your stuff.” Akanke Adefunmi of Claim Your Shero supports clients to have an innovator’s approach to creative problem-solving whether in their personal or professional lives. She helps women access the places of courage inherent within themselves so that they break through external as well as self-imposed barriers. While your coach is your guide, it’s also important to hone your own intuition and gain trust in yourself. Spend time reflecting. If you know who you are and what you want to work on when you set out to find a coach, you’ll achieve greater success faster. 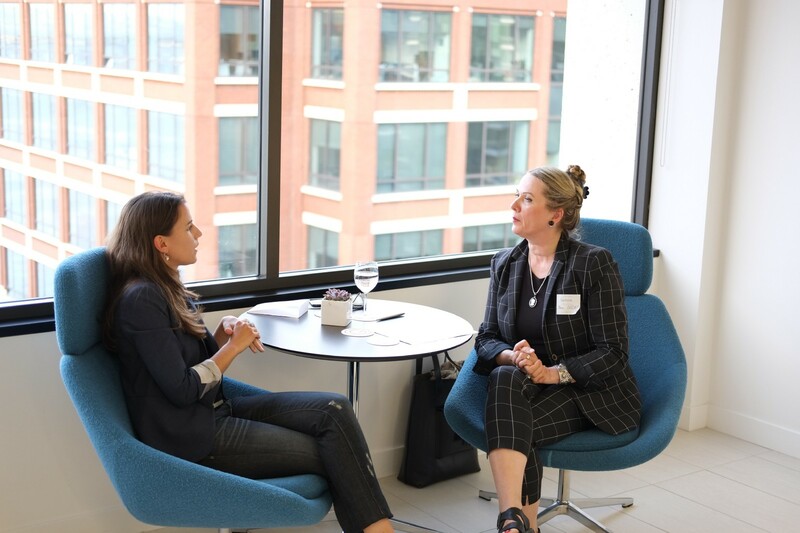 “Ultimately, what you want to find is someone who can help you coach yourself and guide yourself.” Liza Lichtinger of Mindful ExistenC is a Futurist, Psychologist and Wellness Tech Coach for thought leaders and senior executives. She has created workshops, led trainings and wellness retreats centered on the relationship at the intersection of human design and human (consumer) behavior both nationally and internationally. Svetlana Whitener of Inlight is an executive coach helping individuals to get outside the noise and focus on what is next. She is a Forbes contributor with over twenty years of corporate leadership experience, and eighteen years of personal development experience. Thoughtfully probe the coach’s approach and methodology, and make sure the sessions are going to get deep enough to really shake things up. Keep in mind that the transformation occurs between sessions, as you consider and implement the discoveries you discuss with your coach. “Is your coach having you reflect or journal? Are they challenging you to take on big, scary tasks? If not, they are selling you short.” Karishma Shah of Karishma Shah Coaching & Consulting specializes in helping clients with career transitions, developing clarity and confidence, and getting people out of their own ways to navigate through all areas of their life and work. She focuses on serving high-potential 20- to 30-something leaders. 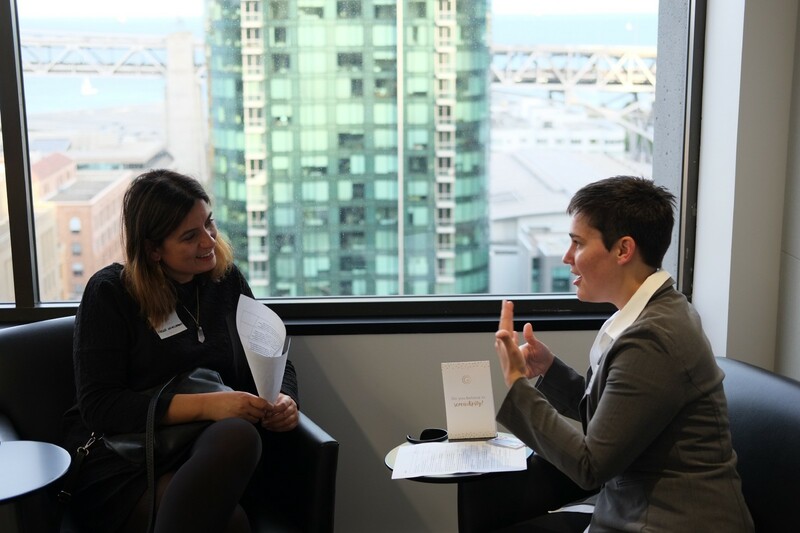 “As partners, we collaborate on game plans to suit a business’s best interests.” Over the last four years, Sarah Schulweis of Anchor and Orbit has worked to help over fifty businesses reach their full potential. 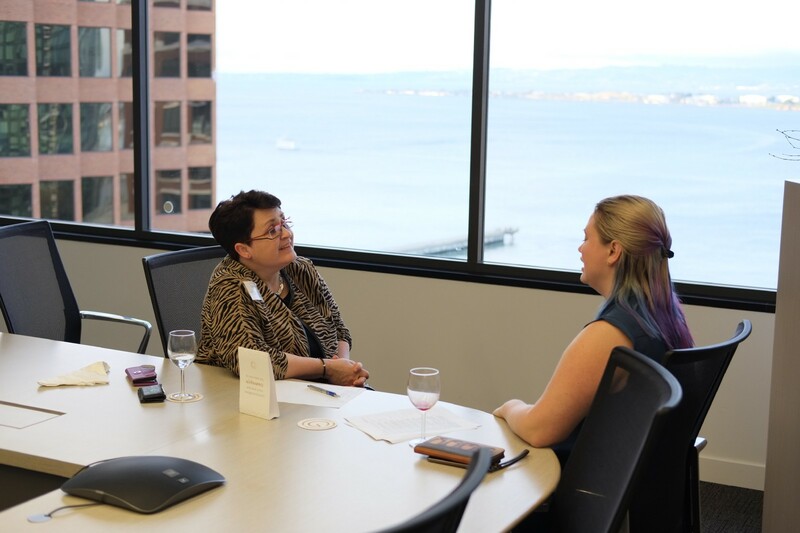 She offers one-on-one meetings, workshops, and project-based solutions that help clients not only improve their business, but enjoy the ride along the way. Making the decision to hire a professional coach is one that takes time, thought, and personal reflection. Here is a summary of the coaches who attended the event — perhaps you’ll find someone with whom you’d like to schedule a session. Good luck in your search! Thanks to Emma Geary and Anne Cocquyt.